Considering I was only 7-years-old when I first started picking up Amazing Spider-Man comic books, I’m always impressed by a number of issues I’ve dubbed my “survivors.” These are comics that I picked up when they originally came out in the late-1980s and I’ve managed to hold on to, for better or for worse, all these years later. 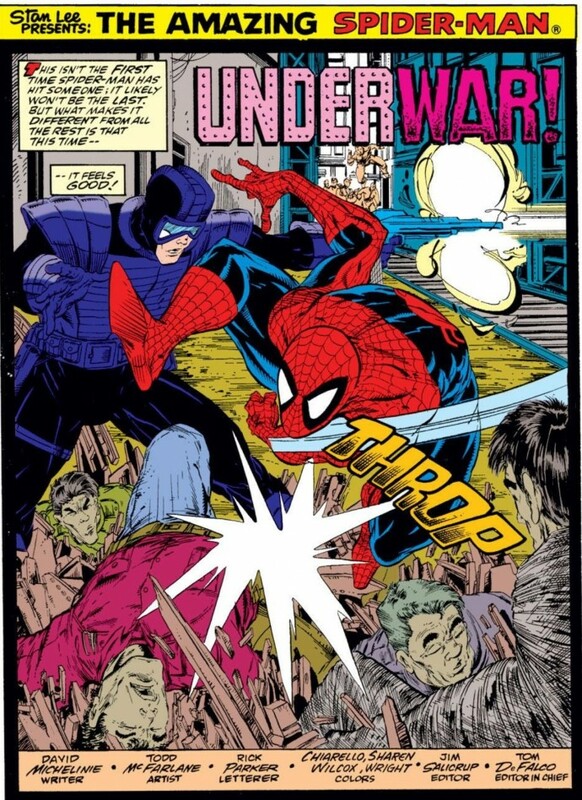 ASM #321 is one of those survivors. What was I thinking when I first picked up this issue? I honestly don’t remember. 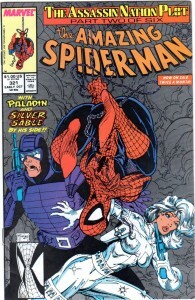 I was at least 8 or 9 at the time depending on when the issue actually came out (the issue says October 1989 but the actual release date was likely months beforehand). My guess is it was a summer day somewhere between when I was in second and third grade. My older brother and I would often spend these afternoons playing our own version of one-on-one stickball at the elementary school near-by. I would always get frustrated, bordering on psychologically crazy when my brother would “cheat” by throwing as hard as he could (what could I say? I was super competitive even then). When the game(s) ended, we often went to the corner store to pick up a canister of tennis balls for the next day’s round of stickball. My guess is while we were there, I picked up ASM #321. Your guess is as good as mine. The point is, despite not truly knowing the origins of this issue, I still own it. Given some of my destructive tendencies as a kid, that’s quite the miracle. By that point in my life, I was beginning to understand the projected value of a “collectible,” but that was primarily baseball cards. I had numerous hard protective cases for my baseball cards I deemed to be “valuable,” but my comic books were fair game. In addition to reading them, I’d rolled them up, trace on them, cut out panels, etc. There are a few other survivors from this era, but the vast bulk of the ASM’s I picked-up were either lost or destroyed. This includes my initial copy of ASM #300, which I would be kicking myself about years later when I discovered it was worth a decent chunk of change on the open market. This also includes my copy of Marvel Secret Wars #8, the first appearance of Spider-Man’s black suit. Does the fact that this issue remains a survivor mean the storyline has any personal significance to me? Doubtful. It’s part-two of the Assassin Nation’s Plot arc, one that actually leaves me a little be flat and confused to this day. 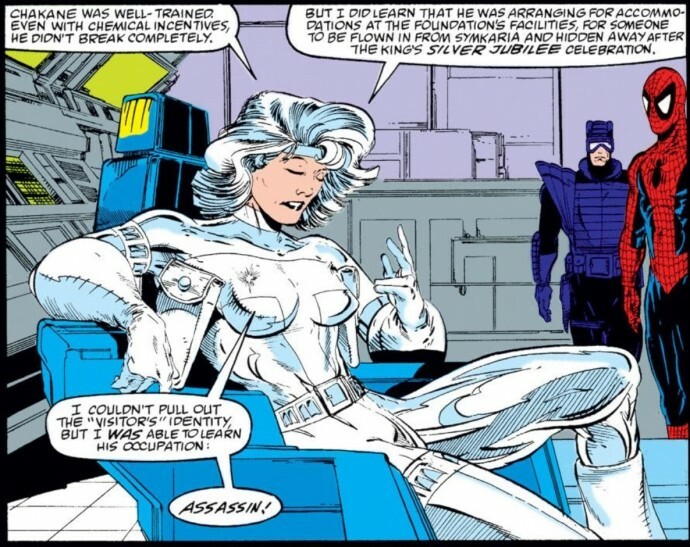 I could only imagine how little I understood a story about espionage and patriotism when I was in elementary school, and it’s not like the featured villain in the issue was anyone iconic a la a Doctor Octopus or a Doctor Doom. 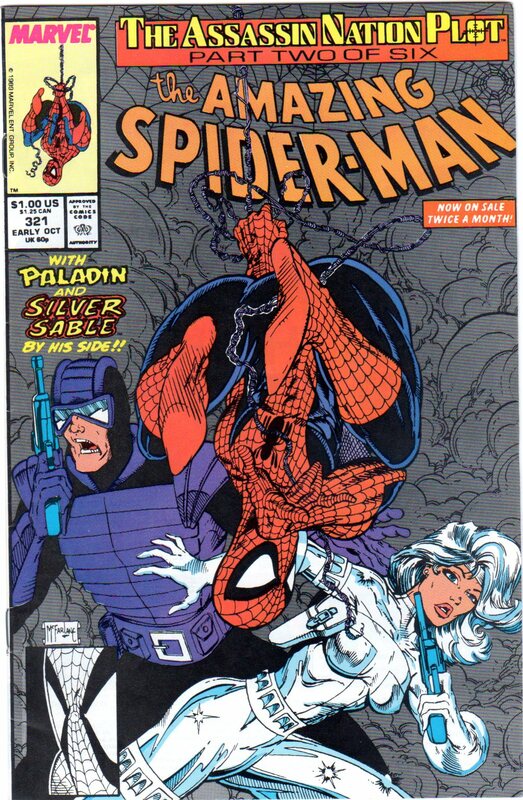 And while the issue is part of superstar artist Todd McFarlane’s initial run on ASM, McFarlane was hardly a phenom in 1989, and if he was, I wasn’t aware of it, because I was 8 or 9-years old. So don’t go around posting some article about Todd from that timeframe in 1989 calling him the next big thing in comic books. I never read it! Instead, what I actually find significant about this issue and my other survivors is how these comic books link to my current goal of owning every issue of ASM. These are some of the original comic books I ever owned, and while I could have replaced this issue if I lost easily enough, the fact that I managed to hold on to it is proof to me that I was meant to one day to be at the point in my collection where I am now. I think it’s unfair to ask someone so young to successfully “collect” something, but by holding on to just this one issue, I was more of a collector than most kids my age. That’s part of the reason why all these years later, despite the fact that these survivor issues are not necessarily in a pristine/desirable condition, I will never get rid of or replace them, because they are all too inherently important to my lifelong quest.